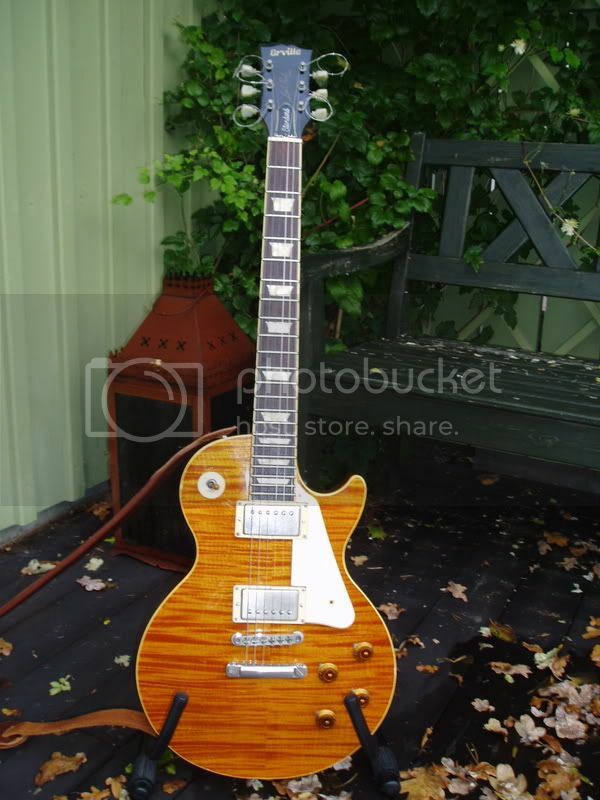 Photo Flame into a Gold Top? 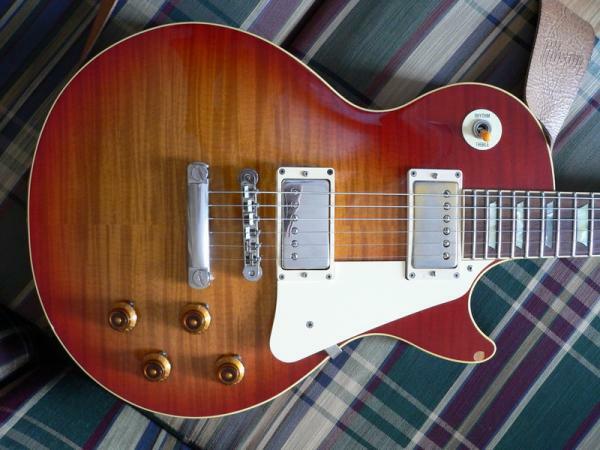 I´ve got an Orville Les Paul Standard that I really love. As this is a "simple" (but GREAT!!!) guitar the finish is thin poly and my question is if it´s enough just to "dull" the poly in order to be able to make the Nitro stick, or do I have to sand the top down to the bare wood? Personally I wouldnt apply Nitro over Poly. I'd go for a complete refinish. I don't even know how well the Nitro would adhere to the poly. If you know the person that is doing the painting ask them how they would like it. If you ask us and tell you some thing wrong you maybe creating more of an issue for yourself and the painter. Have the painter do a GT with poly. You could buy 2k in rattle cans with catalyst in the can that you activate before using. Probably the safest way to go. Nitro adheres fine over poly. Fender did it from about '63 until they started using full poly, with their Fullerplast base coats. nitro over poly is no problem, but the thing is with photo finish is that the photo layer shrinks or expands differently than the thick poly layer on top of it. So that is why most of the photo finish guitars have long and heavy cracks in the finish. I would definitely take off the finish of the top and sand through the photo layer before refinishing. I have the same photo flame on my MIJ epiphone, and I also hate it. My idea was to make it a gold top too. I haven't done anything yet. "the same"? I mean, really, the same picture?